This fantastic version features five levels which need to be ascended to win the game. 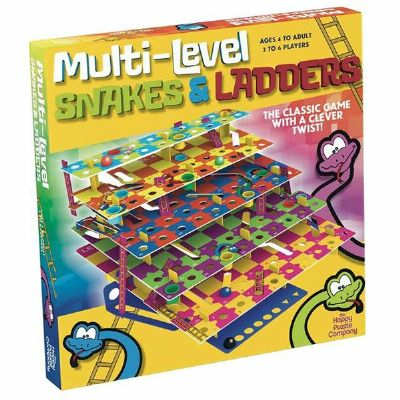 Climb your way up the ladders to the next level, but land on a snake and you*ll fall through a bottomless bucket and drop back down! The set comes as an easy-to-build flat pack with full colour illustrated instructions and can be taken apart and re-stored. Awesome!